Spacious and Private Home in one of the area's most sought after neighborhoods, Springfield. 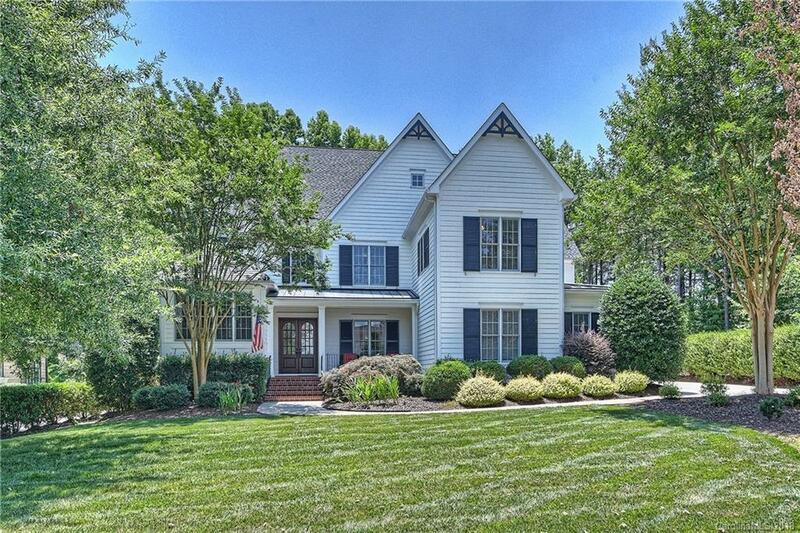 Custom home features beautiful attention to detail w/custom crafted & finished hardwoods and trim. Gourmet Kitchen, designed for Family and Friends to Gather is the Heart of the Home. Master suite on the main level is Spacious and Private, relax and unwind at the end of the day. Three additional bedrooms on upper level with media room, recreation room and library. Located on the 18th fairway of the championship golf course the spacious and private back yard will allow endless hours for entertaining or relaxing, custom Patio and Fireplace. Almost a half acre is private and custom landscaped. Three car side load garage. Springfield community features the Orchard Park amenity center with 3 pools, 6 tennis courts, fitness center and an activity director coordinating events for everyone year-round. Builder Name: McNally Homes Inc.